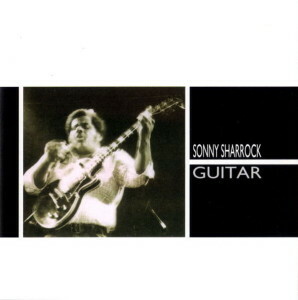 Sonny Sharrock’s solo album Guitar is a jazz album that might fairly be called sui generis. Sure, there are other solo guitar albums out there. But Guitar uniquely tried to push across atonal free jazz noise (high theory) and lovely melodic composition (low entertainment) simultaneously using contemporary recording techniques. While that risked reaching neither sort of audience, the album in many ways succeeds in breaking down intellectual barriers that usually segregate the musical genres Sonny throws together. Sharrock had been doing these sorts of things for a long time, though here he is routinely exploring disparate concepts within a given song, rather than merely in the juxtaposition between different songs (though there is some of that too). “Like Voices of Sleeping Birds” perhaps best exemplifies the collision of sweetly strummed melody and caustic runs of biting metallic noise. Those two parts of the song are opposite extremes, brought together to imply a third path that is not wholly determined by either extreme but that also is not a unified synthesis — both parts remain intact. The music throughout the album is performed “solo”, but with the aid of studio overdubbing Sharrock lays down a sort of harmonic bed of echoing, reverb-laden sounds, which might have significant melodic content or might be more like atonal washes and pulses of sound, then he recorded solos over that foundation. So he really accompanies himself. It all sounds like it was recorded in the mid-1980s, because it was recorded then. The album has a tinny, sterile, compressed sound. But rarely did music of the day glide past such heavy-handed production so readily. There is a glimmer to Sharrock’s guitar playing that can’t be denied. He sounds like he’s making music that matters, to him if no one else. Whether the version of his old composition “Blind Willie,” with celebratory and rousing riffs, or “Devils Doll Baby,” with abrasive and angular playing, or “Broken Toys” and “They Enter the Dream,” with pleasant and sentimental melodies, or “Kula-Mae,” with menacing rock phrasing, Sharrock always offers a twist on familiar forms. Back in this time period, there were a lot of “fantasy” genre movies, and in a way Guitar is like a little musical fantasy epic brimming with hopes and dreams, and desires and laments. In any event, listeners who like this may find themselves utterly captivated by it. One of Sharrock’s best.